You came for the powder, not the luggage carousel. 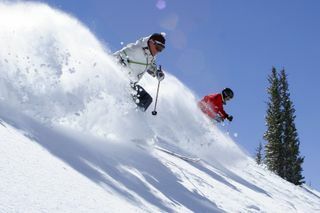 Courtesy Park City Mountain Resort. The clock is ticking, the snow is falling, and you're standing there, wondering if your bag made it to Salt Lake City (or Denver or Reno or Jackson Hole). Come on, you did not fly across the country to watch everyone else's bags do laps around the carousel, hoping that yours made it. You came to ski or snowboard epic powder. And with winter vacations shorter than ever, carry-on is the only way to go. So leave your skis, boards and even your helmet at home — you can rent those — and follow this 9-Point Packing Plan to create the perfect single-bag ski vacation. 1. The bag: It's small enough to fit overhead but large enough to hold ski boots and essential clothing items. The most stringent airline requirement is 22 x 14 x 9 inches. Forget the classic roll-aboards, because your boots alone would fill it up. 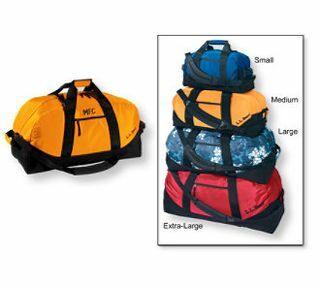 Instead, invest in a soft-sided bag that will grow when you cram in a couple extra pairs of socks, such as LL Bean's small Adventure Duffle ($29.95). It's affordable but small enough that you'll need to be creative. The medium Adventure Duffle ($39.95) works great but don't be tempted to overstuff it or they'll make you check it (and charge you for the privilege). 2. Clothes: Instead of packing an outfit for your special night out, wear it. Choose a versatile pair of pants-black slacks or khakis-which can serve double-duty at dressier spots. 3. Outerwear: Wear your ski jacket on board, then stash it in the overhead bin. Same goes for the midlayer fleece. Remember the 3-1-1 rule and put sunscreen and lip balm with your other toiletries in the one-quart bag at security. 4. Ski boots: Pack 'em. Yes, they'll take up most of the space in your bag, but make no sacrifice in this department. 5. Hat, socks, gaiter, base layers: roll each item up and cram it inside your ski boots. 6. Ski pants, gloves and goggles: into the bag, taking care to roll goggles safely inside your ski pants. 7. 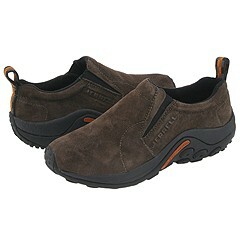 Shoes: One pair of warm, water-resistant snow clogs with good treads-such as Merrell's Jungle Mocs (Zappo's has them from $70)-that you'll wear on the flight and off the slopes. 8. Evening wear: A dressier shirt and a casual option to go with the pants you're wearing on the flight. Think dark colors-they'll show less wear. 9. Coat: Carry-on purists say the hell with fashion and always wear their ski jackets around town. However, fashionistas who just can't bear to do this should opt for something thin, warm and shapeless that can be draped over and tucked around the contents of your crowded carry-on bag. Another option: Layer with a thin waterproof hardshell. Everyone makes them, and Backcountry.com has a huge selection, most of them on sale. Smart Deals: Loews' "Home for the Holidays"
This is an amazing piece. I’m truly a pathetic packer. I’ll have to try this some time. Meant to tell you to check out about my approach to packing at http://bonjourcolorado.com/2009/11/what-kind-of-a-traveler-am-i-anyhow-part-one-packing/.